New owners Richard and Joanne Foster extend a warm welcome to guests old and new. Pottery Cottage is a delightful luxuriously furnished holiday cottage set in an award winning complex of restored 19th century farm buildings. 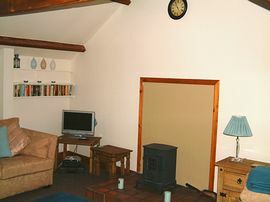 The cottage sleeps four and is arranged on two floors in an 'upside down' manner. 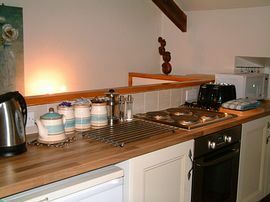 The Cottage Is Entered from the shrub bordered courtyard and on the ground floor there is one double and one twin bedroom together with the bathroom which has a WC, bath and shower over the bath. The Upper Floor Is open plan in design including the kitchen, dining area and sitting room. The wooden beamed ceiling and open plan make this area an enjoyable place to relax and enjoy the long summer evenings. 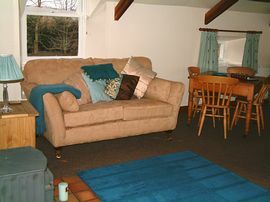 First class facilities are included in the weekly rental charge. Should you decide to have a more restful day you can just relax in the cottage or use the excellent on site Leisure Facilities which include a swimming pool, fully equiped gym, hot tub, sauna, steam room or top up your tan in the sunshower. Use of these facilities is included in the weekly rental. For more details see our website. 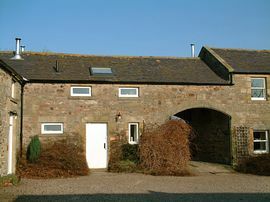 The Pottery is located in the heart of the dramatic Northumberland countryside. Nestling at the foot of The Cheviot Hills this holiday cottage is perfectly located for a visit to the delights and attractions of the north east of England. 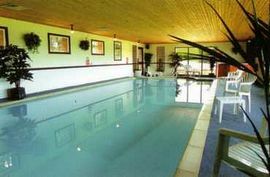 Leisure Facilities including swimming pool. Ideal location for national park and coast. The rents are fully inclusive of all leisure facilities, electricity, one basket of logs, linen, towels (except for swimming) and VAT. Enjoy a swim in the fully-heated 40 feet-long indoor swimming pool with its magnificent views of the nearby hills. Tone up and exercise in the fully-equipped gym. After an exhilarating day in the fresh air, you may choose to take it easy in the private garden area, prolong your stay outdoors with a barbecue, or play a friendly game or two on the all-weather tennis court, putting green or croquet lawn. Local Services: Depending on your sporting interests, close to Branton you can find excellent trout and salmon fishing rivers, several pony trekking centres and numerous first-class golf courses. Provisions can obtained at the nearby 'Meat of Excelence' farm shop in Powburn, they offer delicious meat and home baking products. Another farm shop at nearby Wooperton supplies similar products. Alternatively, Asda, sainsburys and Tesco all deliver to the area. Open all year round on a weekly let basis but short breaks may be available either at last minute or between November and Easter.